One of the best-known country music artists who could induce a big wave of excitement is Jason Aldean. His magnetic charm never seems to fade. He is the country boy-next-door personified. With the announcement of his much-awaited "Ride All Night Tour", Jason Aldean on tour became the trending topic on social media. And yes, if you're skimming through the dates and venues, there's one that's bound to hit this side of town on Thursday 25th July 2019. 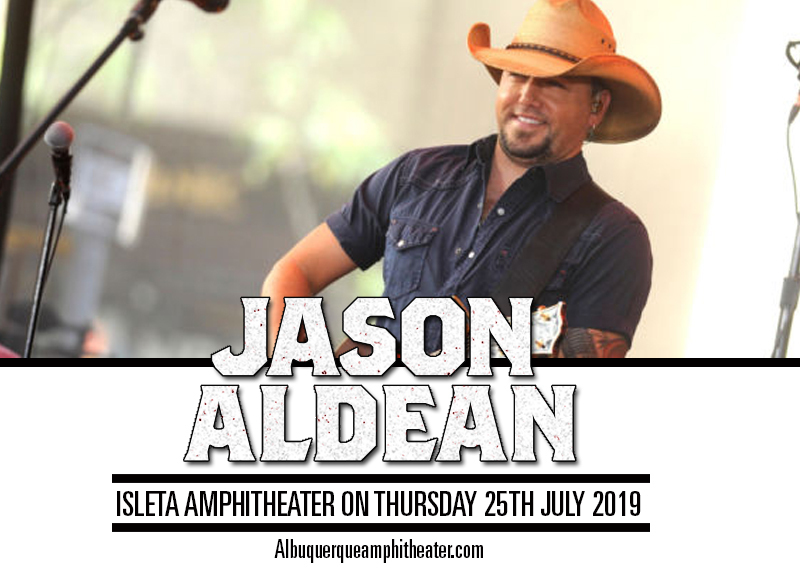 Catch Jason Aldean's "Ride All Night Tour" at the Isleta Amphitheater. Joining Aldean on this concert trek are country’s fastest rising acts in support: Kane Brown and Carly Pearce, plus Aldean’s longtime hype man, Dee Jay Silver, is also on the lineup. Don't leave this to chance. Seize the moment and get your tickets now! Jason Aldean is walking proof of the old adage "good things come to those who wait". His music career started off with a record deal as early as 1998, but he had his fair share of being repeatedly dropped by record labels as well as seeing doors closed before him. But when the right time comes, everything unfolds, falls into place, and reveal treasures untold. It was only in the year 2005 when Jason Aldean finally saw the silver lining behind the mist that clouded his music career. His first single “Why” shot up to the top of the U.S. Country charts, and the album scored a platinum citation. His winning streak forged on as he released three more albums, all of which turned platinum. Then his 2010 album release, “My Kinda Party”, was certified triple-platinum. Jason Aldean is truly a bona fide star with a slew of Grammy nominations and Billboard chart-toppers to boot. His "Ride All Night Tour" will hit the stage of the Isleta Amphitheater on July 25, 2019. Buckle-up! This is gonna be one helluva ride along the Aldean countryside.